Work at home jobs sound like the ideal situation. More flexibility and time with family. It’s seems easy and perfect. But many would-be telecommuters don’t anticipate the challenges in working from home, or understand the additional traits and skills employers want when hiring someone to work from home. This is true even for entry-level work at home jobs. Because you’re not in a traditional office, you don’t have a boss standing over you or other external cues to work. That means you need to be self-motivated to work, and have the ability to work without a lot of hand-holding. Virtual jobs do have methods for getting help or answers, however, it can take time and make you seem knowledgeable if you’re not able to solve problems or be resourceful on your own. In truth, for many people who work at home, the total lack of external work cues is one of the hardest to adapt to. Setting a schedule and routine can help provide structure to your work day. You’ll also need to limit distractions, which may mean child care if you have children at home. A home office with a door to give you a barrier to household distractions such as laundry can help as well. Work at home jobs require that you have an office and all the tools and equipment to get the job done. Most employers will not supply a computer and other equipment, so you’ll need to have it or get it. Along with a reliable computer and Internet access, you may need a headset or specific software. Further, because you’ll be sharing information online, you want to make sure you have quality security on your computer, including password protected Internet access and anti-virus software. If you’ll be working somewhere other than your home office, such as the library or local coffee house, you need a password protected hotspot instead of using free, unsecured wi-fi. Video conferencing has made connecting with colleagues and getting training much easier. Plus there is email and messaging tools to stay in touch with the boss. However, misunderstanding and miscommunication are still a challenge in virtual work environments. It’s important that you can write clearly and succinctly, whether it’s through email, online messaging, or in a note through a project management system. Clear communication saves time and frustration in work at home jobs. Companies that hire home-based workers use digital tools to provide training, deliver and accept assignments, share messages, and more. Sometimes they use common tools such as Slack, Google Docs, and Dropbox. Other times, they have their own systems that you’ll need to learn. You need to feel comfortable using online tools and learning new systems. Working at home can be isolating as you’re alone doing the work. But just because you’re by yourself, doesn’t mean you’re not part of a larger team. Communicating and collaborating with your colleagues and boss is an important part of successful telecommuting. That means you need to be accountable to your team, do your best work and deliver it on time, and stay connected so everyone knows where you are in the process of the work. It also means being aware of cultural or language difference of other people on the team. Many companies hire from all over the world, and as a result, there maybe people who have differing languages, communication styles, cultures, and traditions. You need to be aware of and sensitive to these differences to maintain a positive work environment. Just because you can work in your pj’s sitting on your couch doesn’t mean you can be informal. A common complaint of people who hire for work at home jobs is how some employees shirk off deadlines or submit sub-par work. Your boss might be sympathetic to your health issues or that you have children at home that can impact work, but that doesn’t mean he’ll be okay with you slacking off. Instead, you’ll be expected to anticipate and deal with issues so that you can deliver work on time. You also need to keep all your written communication professional and be available during expected work hours. If you have an issue that comes up that will impact your work, just like in a traditional job, you need to let your boss know ASAP. 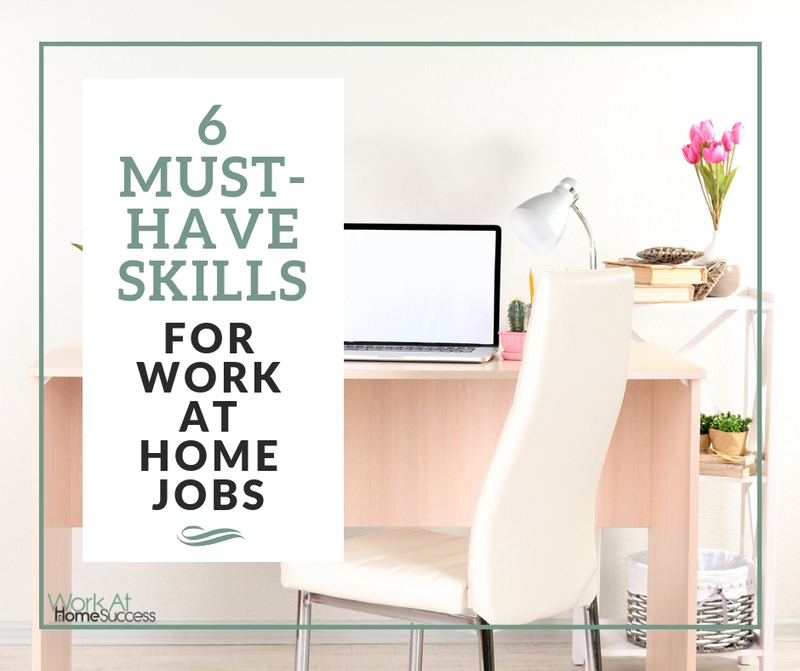 There’s no doubt that work at home jobs offer many perks such as eliminating the commute, a flexible work schedule, and increased productivity. But to get hired, you need to also recognize that employers are looking for employees that not only have the skills and experience for the job, but also are reliable, accountable, and can work well on their own. 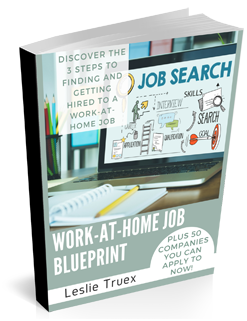 Get a FREE Work-At-Home Job Report, that includes a list of companies frequently hiring with a subscription to the Work-At-Home Success Newsletter. Plus each week you’ll get first peek work-at-home job listings sent only to subscribers, as well as tips, updates, specials and much more. Note: You’ll need to confirm your subscription before receiving your free reports and the job emails.